I've been recently seeing a burst of subscription services for food boxes. Not just regular snack boxes, but actual - Meat & Veggies at your door kinda thing. It was unique, weird, and different enough that it piqued my interest. There were three brands that are currently the most popular which are Blue Apron, Plated, & HelloFresh. I was contemplating getting Plated since they had such a good deal for new customers - $24 for 3 meals/2 people. However I hadn't seen many reviews for their company and the menu wasn't too appealing to me. It is however the cheapest option out of the three companies I listed. After watching countless YouTube reviews and reading dozens of blog posts I decided on what seems to be the top rated one of the three- HelloFresh. I've noticed that a lot of those who tried the food subscription services end up loving HelloFresh more. 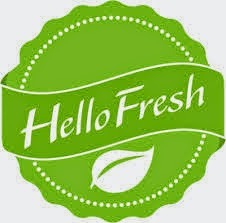 Here is a code for $40 off your First order of HelloFresh. If you do end up using this code your total should end up around $29 for your very first order. Which IMO pretty inexpensive for 3 meals/2 people. I just ordered my first box (Not sponsored), so Ill update this once I receive my order.